Item # 308988 Stash Points: 1,499 (?) This is the number of points you get in The Zumiez Stash for purchasing this item. Stash points are redeemable for exclusive rewards only available to Zumiez Stash members. To redeem your points check out the rewards catalog on thestash.zumiez.com. 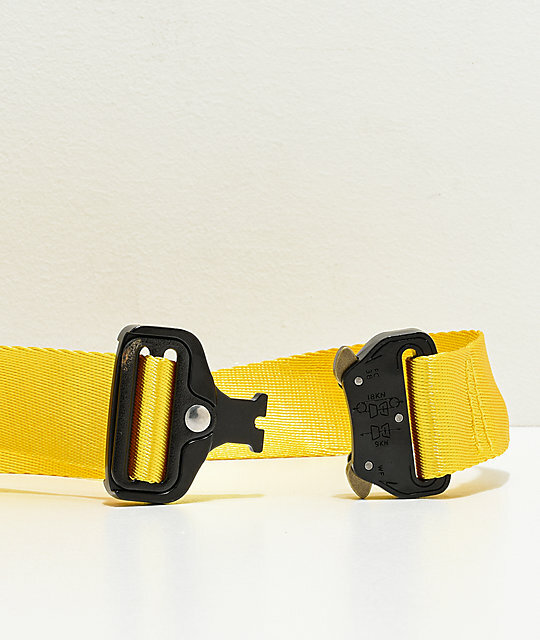 Finish off your look with a durable Civil Essential Yellow Belt. 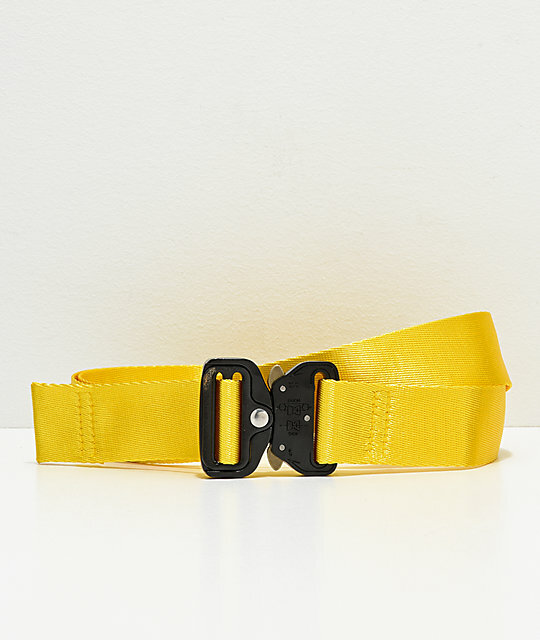 This bright yellow belt has a metal, clip style buckle and fits up to a size 44" waist. Non-slip logo embossed bomb-proof metal buckle. Fits up to a 44" waist.